The Medium Fast blank has long since been the very cornerstone of our long history in fly rod design. This classic LOOP action allows for continual power application through the casting stroke, achieving both optimum fly presentation and fish-fighting ability. 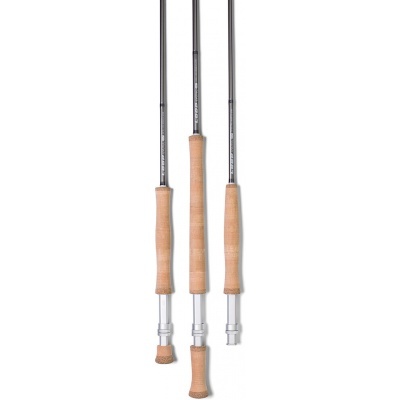 Presented in pearlised grey, these Medium Fast rods are designed for freshwater fishing and finished using the highest AAA grade cork, our unique triangular reel seat, hard chrome snake guides and ultra performance carbon fibre. The CAST Medium Fast rods allow you to fish all day with maximum performance and minimum fatigue. - Blank in aesthetic pearlised golden brown finish.